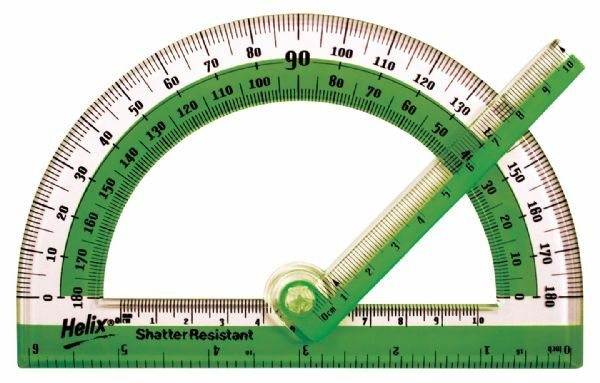 6" shatter-resistant protractor features graduations from 0° to 180°. * Swing arm helps users easily draw and measure precise angles. * Measures angles from left to right or right to left. 8.5" x 5.75" x 0.3"